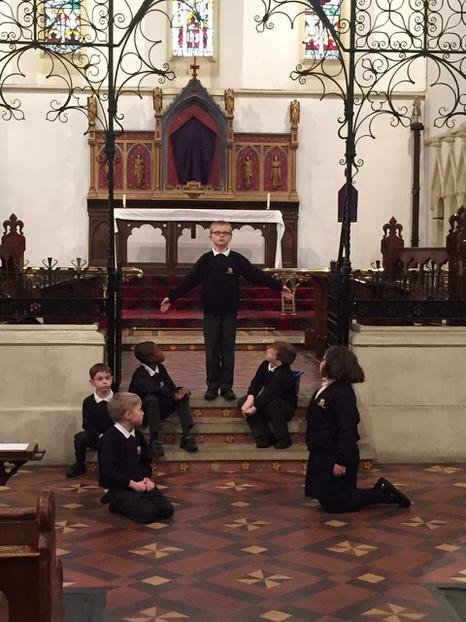 The church was again full, as Year 3/4 delivered a moving, reflective play within the St Mark’s School Easter service that portrayed the life of Jesus up to the time of his Crucifixion. The service contained beautiful singing, and some hymns with some stunning solos which echoed through the church and closed with a reflective prayer that was written by all the children in Year 3/4. Many parents and families commented on the children’s empathetic approach towards their acting and readings.